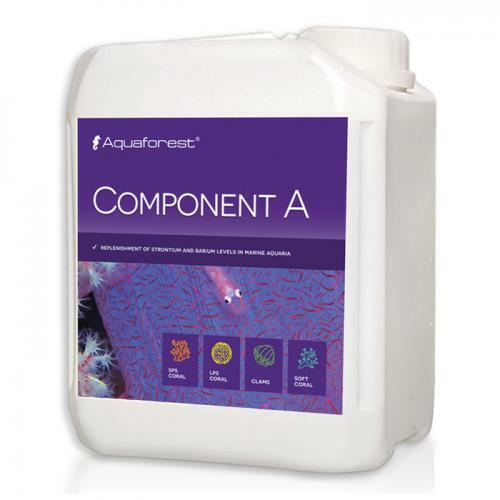 Brief Description: Component A is designed to correct minor deficiencies of strontium and barium in marine aquariums. The unique formula was created based on the same strontium and barium ratio as natural seawater. Skimmer and filtration media tend to remove trace elements from the water of closed aquarium system, making micro nutrients supplementation necessary. Notify me when "AquaForest Component A [2 Liters]" is re-stocked. Due to the perfect balance of elements, Component A allows creating conditions almost identical with natural sea water. Strontium supports the formation of coral skeletal tissue and improves the absorption of calcium. It also supports the growth of soft corals. Safe concentration of the preparation minimizes the chance of micro nutrients overdose, therefore Component A can also be used by novice aquarists.